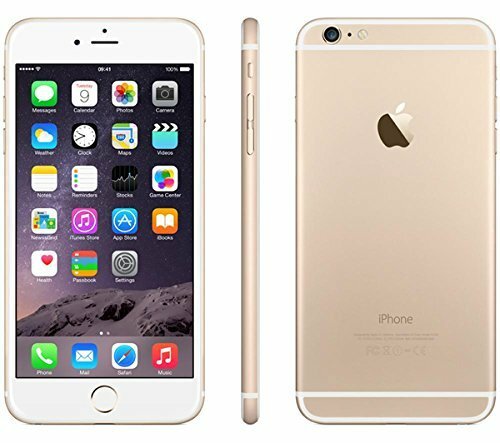 Apple iPhone 6 Plus is a high quality cellphone launched in 2014, counting with a 5.5 inches multi-touch capacitive screen, a very powerful 1400 MHz Dual-Core 64-bits processor, an 8 megapixels back side camera and a 1.2 mega-pixels front-facing camera. Regarding its body materials, this cellphone is majorly built with Aluminium, giving this phone a high quality feel. This phone is a compact cellphone, considering it has a 5.5 inches screen and it is only 6.22 inches long and 3.06" wide. This cellphone is slim and stilized, with a thickness of just 0.28". This phone is offerred in 3 different color options, black, gray and gold. This cellphone is much lighter than what one would think about a cellphone this size. Apple equipped this cellphone with a Apple A8 chip, which holds a high speed 64-bit Dual-Core processor speeding at 1.4 gigahertz and only 1 GB of RAM which is a little poor for such a solid phone. Handling graphic rendering, it also has a 450 megahertz PowerVR GX6450 graphic processing unit. 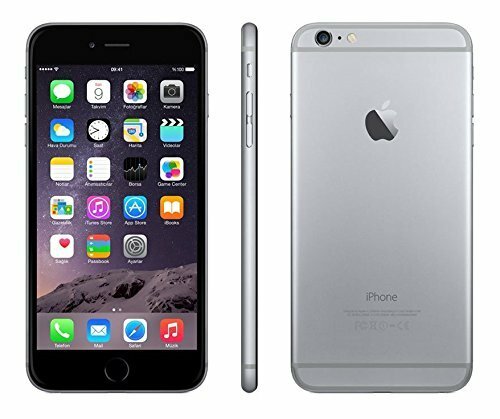 A great feature of the Apple iPhone 6 Plus is its inmense 128 GB internal memory and even though it doesn't come with an external memory card slot, it it is more than enough to install tons of applications, games, photos and videos without thinking about filling the phone. This phone includes an amazing 1920 x 1080 (Full HD) 5.5 inches screen, making everything look absolutely great. Its screen uses IPS LCD capacitive technology, with an incredible 500 candela/m2 brightness and has multi-touch detection. This phone provides Wi-Fi connectivity (which it can share with other devices around, acting as a mobile hotspot), LTE 4G high performance data connection or the fastest 3G internet connection, using HSPA, HSUPA, UMTS, EV-DO A, EV-DO B and EDGE technologies. 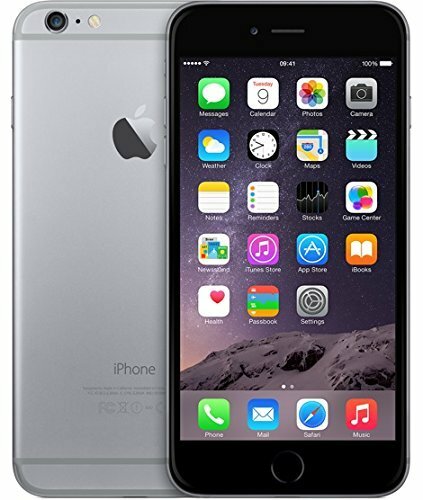 The Apple iPhone 6 Plus works with a Nano SIM card for GSM networks and it can connect using both GSM and CDMA. This phone is equipped with two cameras, an 8 mega-pixels back side camera and a 1.2 megapixels front side camera. Its back side camera lens has an aperture of F2.2 so it can capture excellent photographs even in dark situations. It also shoots 1920x1080 Full HD videos at 60 frames per second, and slow-motion videos in (HD) (1280x720) up to 240 frames per second (8 times slower ). Additionally, the camera includes lots of cool characteristics like flash, auto-focus, optical image stabilization, fast burst mode, face detection shooting, time lapse video, HDR mode and geo tagging. This phone also includes many interesting features like Bluetooth, Fingerprint ID, GPS Navigation and NFC (Near Field Communication), and multiple sensors like Light Sensor, Proximity Sensor, Accelerometer, Gyroscope, Barometer and Compass. 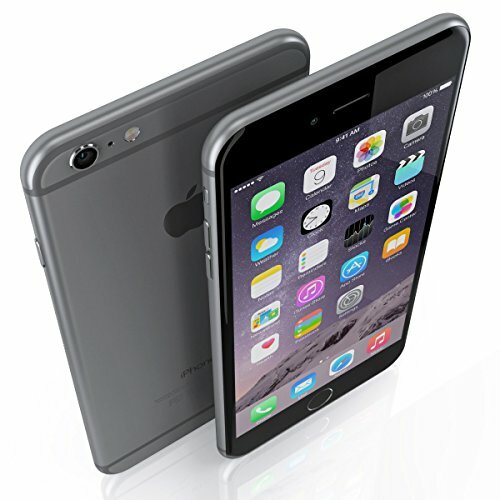 The iPhone 6 Plus packs a 2915 mAh high capacity Li-Ion non-replaceable battery, which isn't very promising for a cellphone like this. Apple afirms this phone has a stand by time of 384 hs and a talk time of 24 hours. An issue to evaluate is that the iPhone 6 Plus's battery is non-replaceable	so you can't buy a new battery when it begins to lose capacity, even though with so much capacity you will probably buy a new cellphone before it happens. 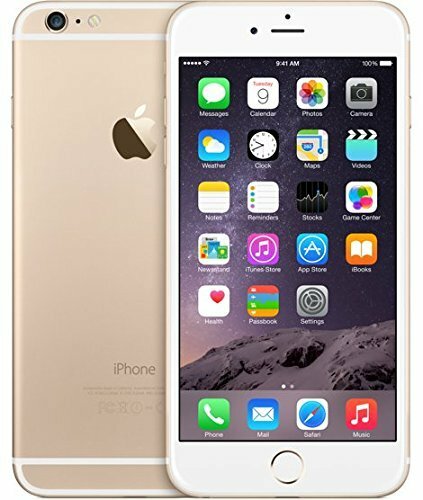 This device is a great choice considering it's a great cellphone and it costs just $ 655. This device is probably very appropiate for you no matter whether you need a device to mostly use social networks and internet browsing, are a photography fan, need a work device or want a phone for gaming. This cellphone is sold with USB Power Adapter, Lightning to USB Cable, Apple EarPods with Remote and Mic and Documentation.